The Red Booby Hotel is located in the center of the town of Puerto Ayora on Santa Cruz Island, 5 minutes from the pier. Providing an environment that is defined by an exemplary hospitality where comfort, art and excellent service, make the guest feel at home. Thoughtful design with the excellent and comprehensive services offered by Red Booby, make it a high class hotel, in which every detail has been carefully designed for guests to sit in a unique environment and comfortable. 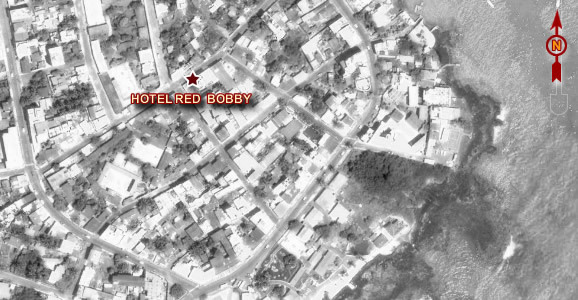 Bobby Red Hotel has 27 spacious and comfortable rooms with private bathroom, hot water, desks, cable TV and air conditioning. It also has the following services: private pool, safety deposit box and restaurant.